Scientists at the Planetary Habitability Laboratory ranked the top nine exoplanets that might support human life. They're ranked by their ESI (Earth Similarity Index) where 0.0 being a gas giant, 0.7 being a Mars and 1.0 is a near-copy of our home planet. 9) GJ 667 C e is a super Earth that has a 62-day orbit. 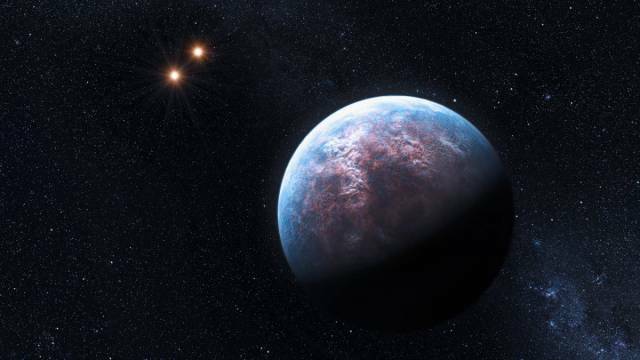 Exoplanets don't have the catchiest of names. 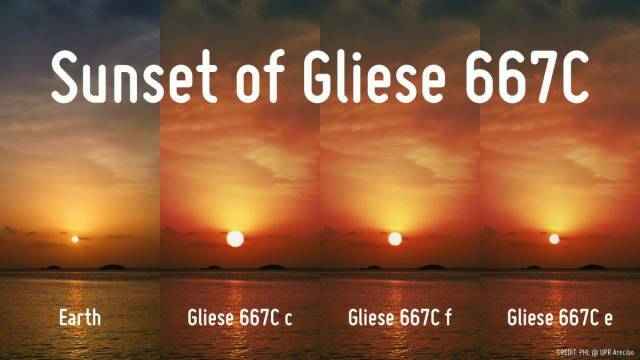 They typically get their title based on the star they orbit (in this case Gliese 667C). Each exoplanet that orbits the star gets a letter, which in this case is "e," for the fifth planet scientists discovered there. 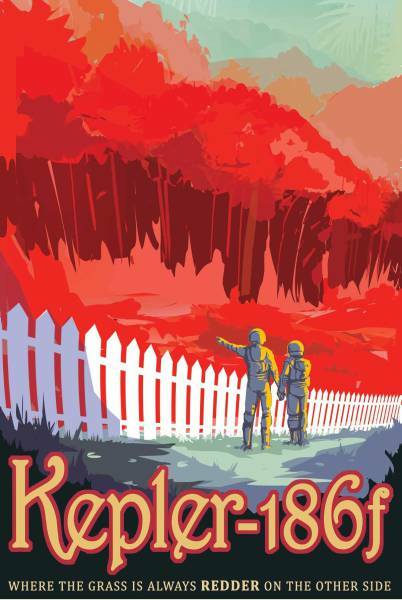 8) Kepler-186 f orbits its star every 130 days, and its mass is unknown. 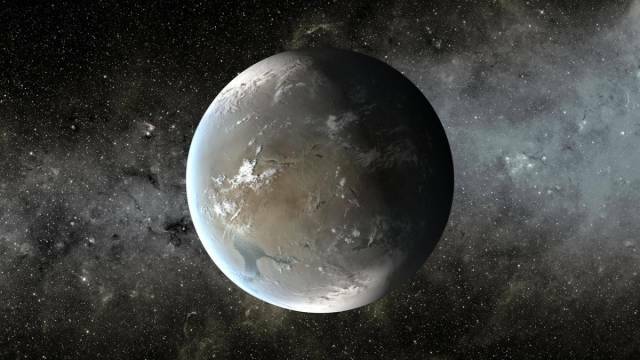 7) Kepler-62 f is a giant rocky world that has a 267-day orbit. 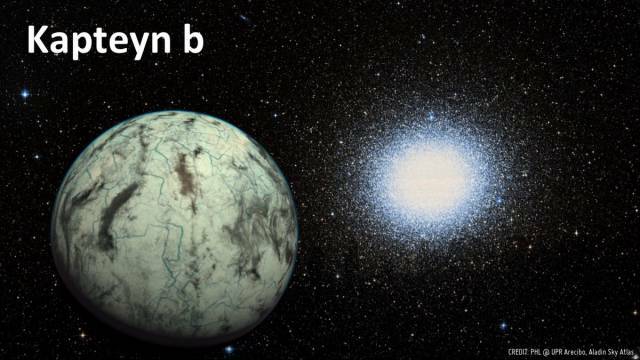 6) Kapteyn b is the oldest potentially habitable planet we know about. It's twice as ancient as Earth and about five times as massive. 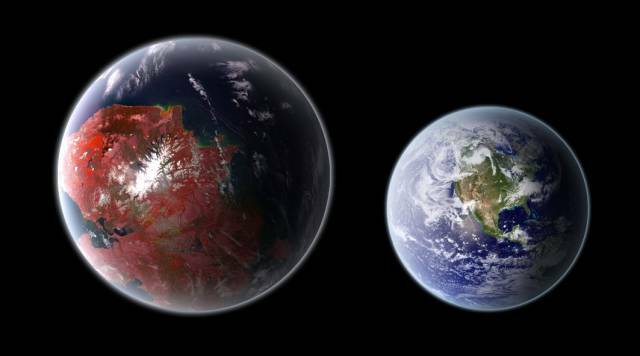 5) Kepler-1229 b is a super Earth that only takes 87 days to orbit its star. 4) Wolf 1061 c is about four times bigger than Earth, and is probably "tidally locked" — meaning one side always faces its star. 3) GJ 667 C f is another exoplanet that orbits the star Gliese 667C, except that it does so every 39 days. 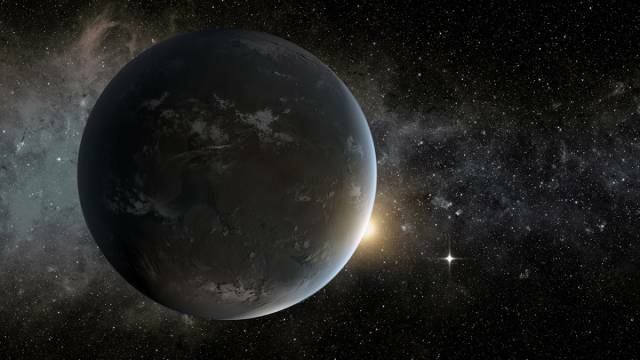 2) Kepler-442 b is a super Earth that has a 112-day orbit. 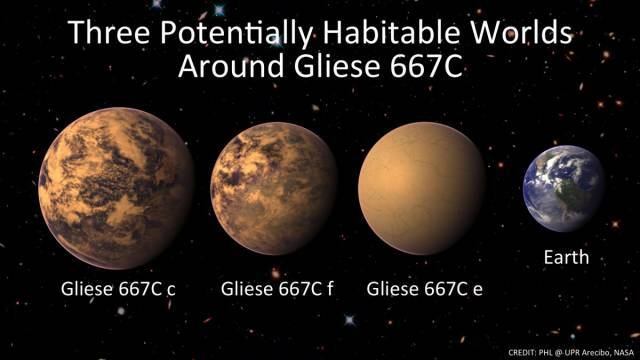 1) GJ 667 C c is the third habitable planet orbiting Gliese. So far it's the most Earth-like world we know of, though we'd have to travel a very long way to find out.